DAVENPORT, IA. (Aug. 22, 2018) – RK Dixon, a leading provider of copiers, printers, IT services, managed print services and pure drinking water systems, is inviting Quad-City area non-profits to enter the Make My Non-Profit Run Better contest for a chance to win a portion of $60,000 in office technology prizes. The contest – now in its 13th year – is designed to ease the challenges of operating a non-profit organization and give groups the opportunity to focus more exclusively on their mission and the people they serve. This year’s contest will focus exclusively on the Quad-City region. Non-profit organizations in Jackson, Clinton, Scott, Muscatine, Louisa, Des Moines and Henry counties in Iowa and Jo Davies, Carroll, Whiteside, Rock Island, Henry, Bureau, Mercer, Henderson, Warren and Knox counties in Illinois are eligible to participate in the contest. Entrants will be categorized as either a “large” or “small” non-profit, based on annual revenue, to help create a more level playing ground among all the registered groups. Registration for the contest opens on August 21 and will close at 5 p.m. on Sept. 13. Information regarding registration can be found at RKDixon.com. Round 1 voting begins on Sept. 14 when the public will be invited to vote online for the non-profit with the biggest need for an office technology makeover. 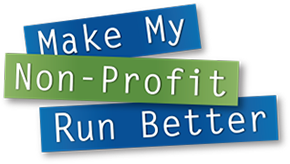 Last year’s Make My Non-Profit Run Better contest awarded Apostolic Christian Home in Eureka, Ill., a $30,000 office technology makeover and Blue Ridge Community Farm of Chillicothe, Ill., a $15,000 makeover. EPIC! in Peoria, Ill. was named the second-prize winner in the large category and Peoria Humane Society was named the second-prize winner in the small category. RK Dixon is a leading provider of copiers, printers, managed print services, IT solutions and pure water drinking systems in each of the business communities it serves. Founded in 1983, the company retains a highly trained and tenured staff, and provides its customers with products boasting over 98 percent uptime. RK Dixon, along with its sister company, Premier, serves more than 120 counties in Iowa, Illinois and Wisconsin with office locations in Davenport, Marshalltown and Urbandale, Iowa, and Bloomington, Champaign, Peoria, Rockford and Springfield, Ill. In April, 2011, Premier was acquired by Global Imaging Systems (GIS), a Xerox Company.